The world of medical knowledge is expanding exponentially – there is simply too much data for any provider to learn let alone utilize in practice. We can change that. 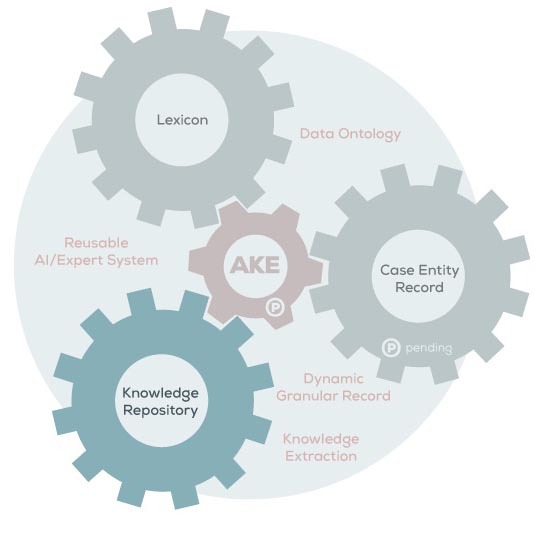 AkēLex has automated and industrialized the process of consuming medical knowledge and turning it into usable and accessible content. We have developed a toolkit that deconstructs digital text references (journal articles, text book chapters, etc.) and converts them into the machine syntax (Lexicon) used by the AKE. Data is parsed within digital reference documents as part of the content development process and converted into natural language text references. Data dictionaries in the Lexicon are designed to help identify candidate knowledge sets in the medical literature and route this information to the appropriate standardized structures in the Lexicon. A web portal provides access to both non-secured and password-protected portions of the content building process to allow editors and clinical partners to review content, operational and QA reports, and research topics.